Ladies, put the Cush in Cushion. Behold the luxury feel of satin. Smooth satin lining and soft Reef Cushion EVA with anatomical support make the Star Cushion sandals a star in the field of comfortable footwear. 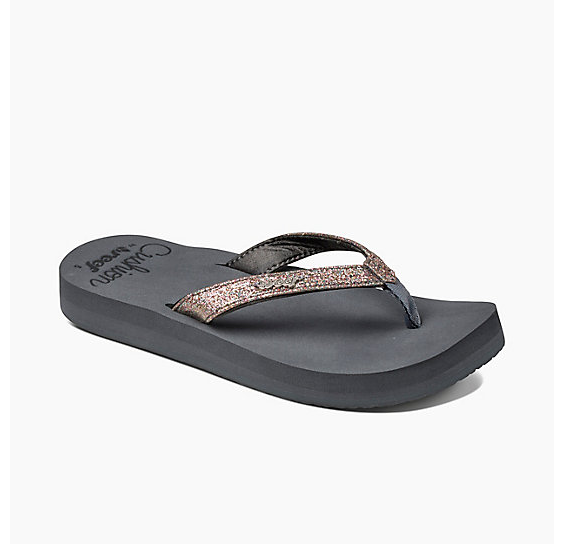 These women's sandals feature sparkly straps and a rubber sponge outsole for flexibility.